Please pledge $50 for our 50th Anniversary! Just 500 people giving $50 monthly will help us reach our goal of $300,000. For our 50th Anniversary, your monthly $50 charitable donation will enroll you as a member of the 50 for 50 Club. 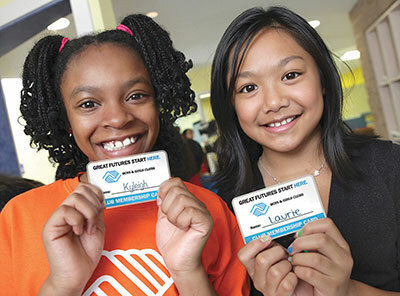 As a member, your donation will cover a child’s membership fee for a year plus additional programming. Your monthly donation will allow us to respond to each child’s unique needs. It will enable us to provide nutritious meals every day and nationally recognized programs that concentrate on our key focus areas of academic success, building character & leadership, and health & life skills. Help Club members achieve academic success. Provide structured fitness activities throughout the day. Promote good behavior and citizenship. Help Club members make positive personal choices. Offer a safe, supportive environment where Club members can form healthy positive relationships with adult role models. How does Monthly Giving Work? 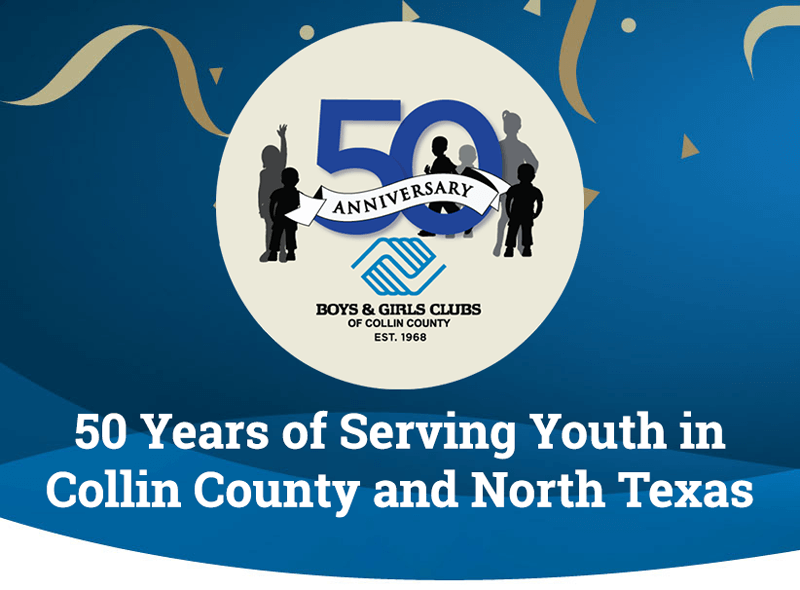 The monthly giving program automatically transfers your donation directly from your credit card or debit account to Boys & Girls Clubs of Collin County on the same day of each month. If you cannot give $50 per month, please sign up for any amount. Every dollar helps us serve more children. I'm Joining the 50 for 50 Club! By hitting Submit, I authorize the selected credit/debit card for a recurring gift on the same day each month. I understand this authorization will remain until I notify BGCCC of any changes or revocation. By hitting Submit, I authorize the selected bank account for a recurring gift on the same day each month. I understand this authorization will remain until I notify BGCCC of any changes or revocation.